Merry Christmas and a Joyous New Year! Wishing all a very MERRY CHRISTMAS and a joyous NEW YEAR. Anyone who knows me, knows that I love animals of all kinds. 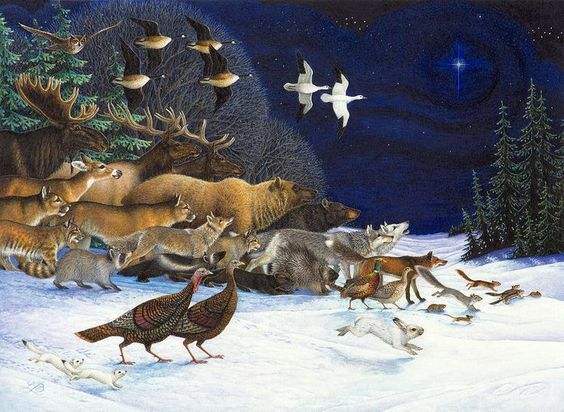 When I saw "The Christmas Star" painting by Lynn Bywaters, I had to share it. Deep peace to you and yours during this holiday season.